3 minutes walk from our hostel to the entrance of Old Street. 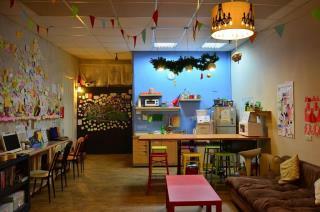 The whole hostel is elaborately designed for backpakers. And travelers will definitely satisfided with it if they stay over nights.